SCVHistory.com LW3414 | Film-Arts | Montie Montana, 1970 Tournament of Roses Parade. 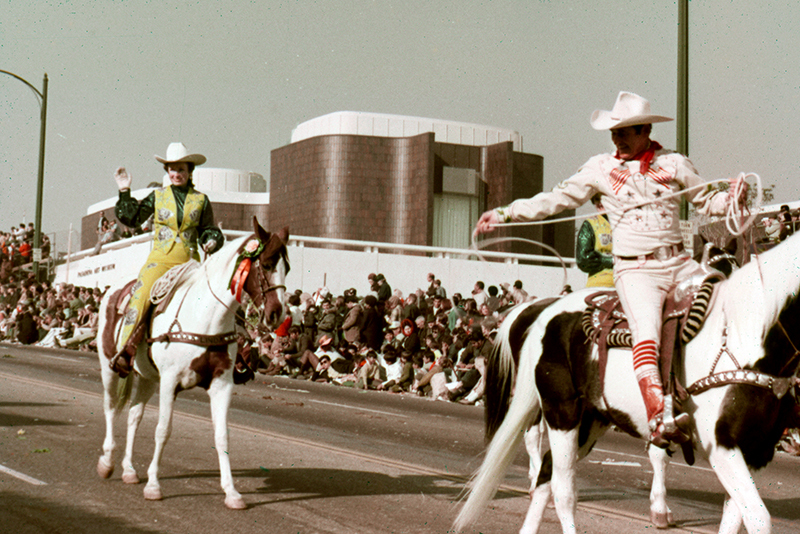 Trick roper Montie Montana participates in the 1970 Pasadena Tournament of Roses Parade. We don't know who the woman is. If you know, please tell us. It might be Montie's second wife, Eleanor "Ellie" Orlando, whom he married in 1972. 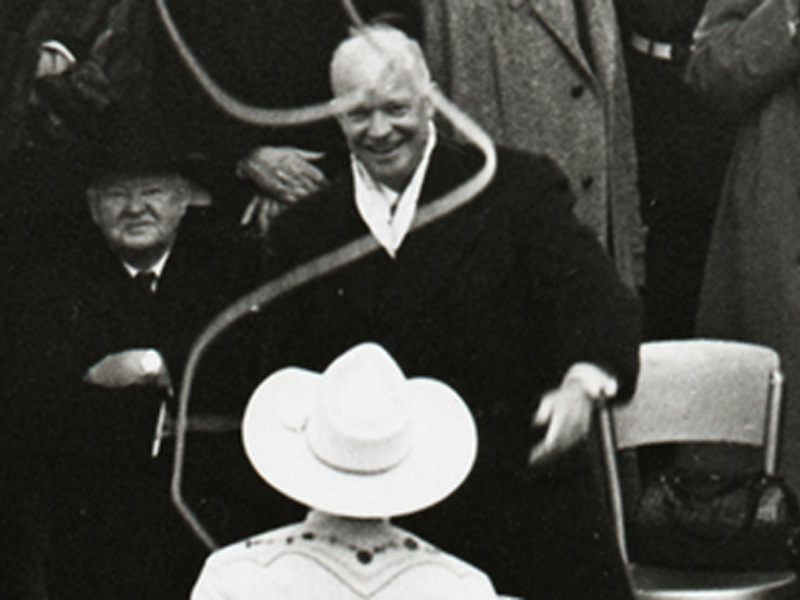 Montie (1910-1998) appeared in a record 60 consecutive Rose Parades from 1935 to 1994. At this time he was living in Northridge (his ranch was not far from Devonshire Downs); he moved to a ranch in Agua Dulce in 1976. LW3414: 9600 dpi jpeg from 35mm color transparency (slide film) purchased 2018 by Leon Worden.